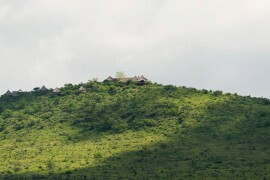 Kipalo camp is a lodge situated on a 12,000 acre piece of land in a conservancy bordering the Tsavo West National Park. The lodge is set amid the Mbulia Hills and offers a panoramic view of the Tsavo West National park while the Kilimanjaro offers a spectacular backdrop of the beautiful scenery around it. Kipalo means “a special place where one returns to again and again” in the Taita language. 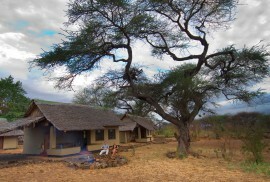 Kipalo camp’s main mission is to support the local community and 12,000 conservation area through a tourism initiative. 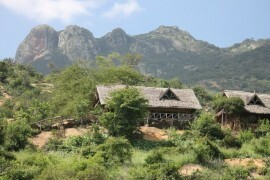 To protect and provide a safe haven for the resident wildlife including over 700 elephant during the dry season. Accommodation at Kipalo camp is in luxurious tents that are en suite with hot showers throughout the day. 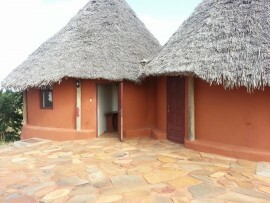 The rooms are set up with double beds and can be arranged for twin rooms. All rooms are exquisitely appointed to offer the most luxurious comfort. Meals are served at the lounge mess or dining area with a wide variety of cuisines. Bush dinners and sun downers can also be arranged for to offer a more intimate experience e with nature. After game drives or nature walks on sunny afternoons guests can relax or take a deep in the pool which also overlooks the expansive conservancy.